Fred Wilks has nearly twenty years of experience representing clients in diverse areas of commercial litigation, including contractual disputes and business torts, commercial real estate litigation, commercial lender litigation, construction litigation, partnership and shareholder disputes, dissolution actions, fraud and consumer class actions, unfair business practice claims, and trade secrets litigation. Successfully defended a lawsuit filed by a member of a limited liability company accusing our client, the company’s managing member, of committing an $8 million fraud, mismanaging the company, and falsifying accounting records. The client was absolved of all claims. Instead, the limited liability company owed our client nearly $3 million and we obtained an order dissolving the company under our client’s full control. Obtained a judgment of specific performance in favor of our client, a publicly-traded real estate investment trust, requiring the defendant to transfer to our client its fifty-percent interest in a $30 million shopping center. The trial court also awarded compensatory and punitive damages. Successfully defended corporate directors in a three-month trial of a shareholder derivative lawsuit seeking recovery of $90 million. The lawsuit challenged the hiring, compensation package, and termination decisions made by the company’s board of directors concerning the president of a publicly-traded entertainment company. Successfully obtained an order on behalf of several trade associations enjoining a California regulatory agency from implementing and enforcing new regulations that exceeded the agency’s authority and imposed undue burdens on California businesses. On several occasions, Mr. Wilks has obtained judgments on behalf of corporate clients against their former employees permanently enjoining the employees from using the clients’ trade secrets to solicit the clients’ customers. Formerly served on the Orange County Bar Association’s Judiciary Committee, which evaluates judicial applicants and candidates and makes confidential recommendations to the Governor’s office, and public recommendations for judicial election candidates. Authored several articles on legal ethics topics published in the Orange County Bar Association publication, Orange County Lawyer. Presented at continuing legal education lectures, including the annual CEB Recent Developments in California Civil Litigation. Volunteered for several years as a judge for U.C. Irvine School of Law Moot Court Program, and for many years as a scorekeeper for the Orange County Constitutional Rights Foundations’ mock trial contests. 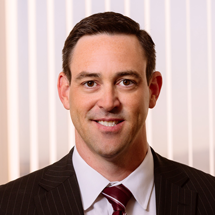 Mr. Wilks was formerly a litigation associate with Fried, Frank, Harris, Shriver & Jacobson LLP. Mr. Wilks graduated from UCLA School of Law where he received the American Jurisprudence Award for his performance in Business Associations. He was a participant in the Moot Court Honors Program, and was named Moot Court Outstanding Brief Writer. He received his bachelor’s degree with honors from the University of Southern California.